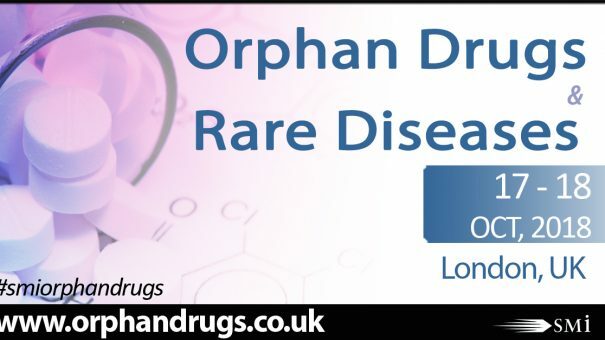 With only 4 weeks to go until SMi’s 8th annual conference on Orphan Drugs & Rare Diseases (http://www.orphandrugs.co.uk/pharphorpr), places are becoming increasingly limited and potential attendees are urged to book soon to take advantage of the exclusive opportunity of meeting and networking with a host of internationally renowned organisations to learn about the recent advances made in rare disease treatments. Recently in rare disease industry news, seven pharmaceutical companies have announced they’re joining forces to sponsor Project Hercules, an initiative which aims to simplify the way evidence is generated for Health Technology Assessments (HTAs). Duchenne UK, who are leading the project, and its partners aspire to create more certainty over the value of Duchenne therapies, improving their chances of becoming endorsed by HTAs. Treatment access is delayed as assessment bodies don’t have enough evidence to make a decision. Hercules will help partners pool together valuable evidence, as well as produce evidence for similar submissions, and cut the time it takes for new treatments to get on the market. * While the new initiative focuses on DMD, it helps pave the way for similar approaches in other rare diseases. Participants can hear more about how collaboration between regulatory agencies, pharmaceutical companies, non-profits and drug developers can accelerate HTA approval and in turn provide rare disease patients with access to life-changing therapies, at this year’s Orphan Drugs and Rare Diseases conference. The two-day event will also be hosting a pre-conference interactive workshop on 16th October, with Josie Godfrey, director at JG Zebra Consulting, sharing her experience and expertise in “Working Together for HTA in Rare Diseases – A step too far or the way forward?”. The workshop will benefit attendees by providing an understanding of the benefits and barriers to collaboration for HTA and market access, exploring the opportunities for collaboration in priority disease areas, and planning how to maximise successful collaboration.